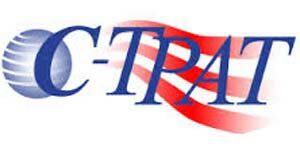 C-TPAT is a United States Customs and Border Protection (CBP) initiative that stands for Customs-Trade Partnership Against Terrorism. C-TPAT is a voluntary program where participants work to protect supply chains from the concealment of terrorist weapons including weapons of mass destruction. This partnership is for organizations involved in the global supply chain including United States importers, customs brokers, terminal operators, carriers and foreign manufacturers. Companies wishing to be C-TPAT participants must complete an application and conduct a self assessment of their supply chain security procedures against the C-TPAT criteria or guidelines jointly developed by CBP and the trade community. Upon satisfactory completion of the online application, a U.S. Customs and Border Protection C-TPAT Supply Chain Security Specialist will contact the participant to begin the validation process.